Reposted from The Joyce Theater Blog. It has been an incredible honor and adventure to be Artist-in-Residence at The Joyce. During my first year as The Joyce’s Artist-in-Residence, I created an ambitious evening-length work, Like Lazarus Did, with an inspiring group of collaborators, Son Lux, Janine Antoni, The Young People’s Chorus of New York City, and Ken Tabachnick. And since then, my company has toured the piece across the US and received critical and audience acclaim from coast to coast. This past year began my company’s 30-year anniversary for which I created two world-premieres: Locomotor, a careening, kinetic piece with again some of the most exciting collaborators I could have ever hoped to work with—Clams Casino, Narciso Rodriguez, and guest artist Melissa Toogood; and also a new solo for myself, Stripped, as part of an ongoing series of collaborations with Janine Antoni. Additionally, we brought back the much-loved Strange Attractors (Part I) from 1999. And on top of all that, I published my memoir, Confessions of a Motion Addict. None of this would have been possible without the direct support, involvement, and subsidized rehearsal space from The Joyce Theater. This coming Joyce season marks the first year of my company’s new project, Bloodlines, which is a five-year initiative focusing on the preservation and performance of choreography from a family tree of American postmodern dance masters. The first piece will be Merce Cunningham’s iconic RainForest (music by David Tudor, visual design by Andy Warhol), performed by my company at The Joyce in April 2015, with Melissa Toogood returning as a guest artist. It was so special to me that The Joyce chose me as their first AIR. The Joyce’s support these past two years has been essential for my company and motivated us to reach for even greater artistic heights. But more than anything, my company has felt part of something larger these past two years, which has made such a difference to us. 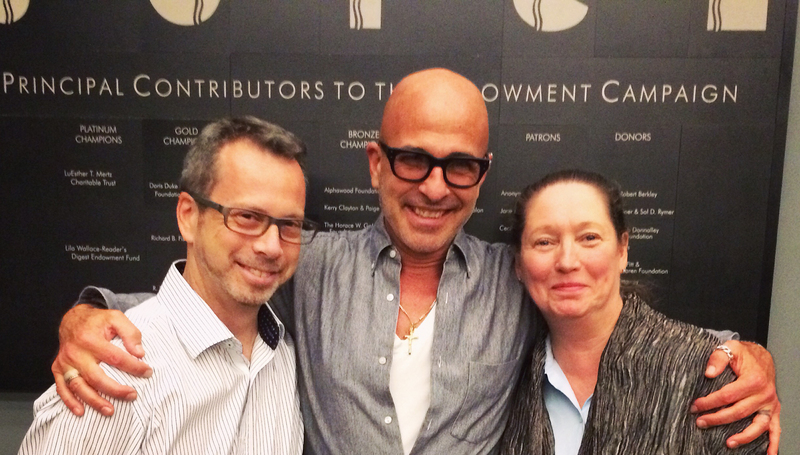 Thank you to all of The Joyce family, staff, and friends, from all of us at Stephen Petronio Company.